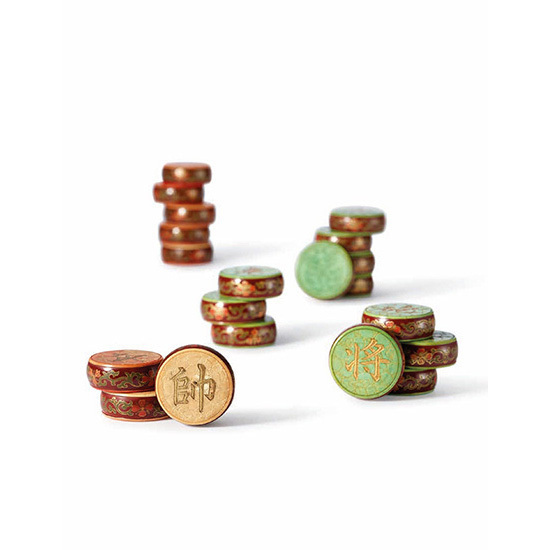 The set of xiangqi comprises two sets of sixteen pieces. 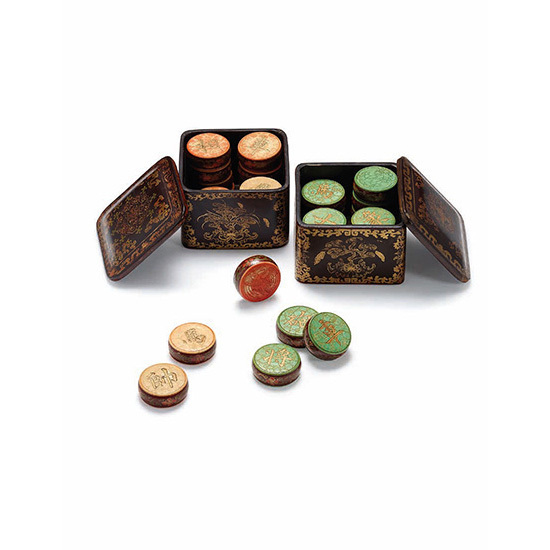 Each set has a single incised character painted in gilt-lacquer against a patterned ground of prunus blossoms stained red and green on both sides. 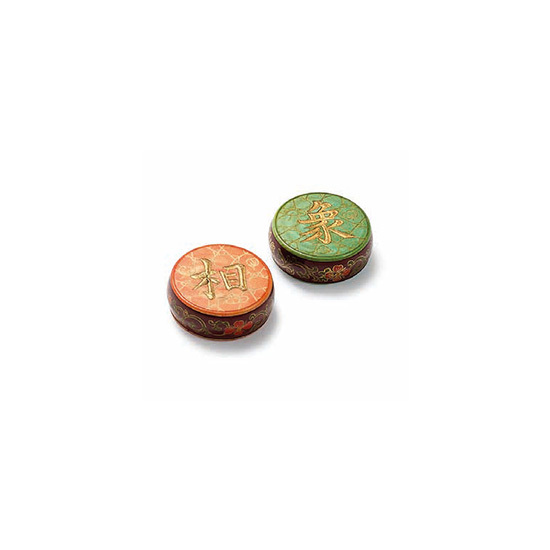 The reverse side of the red set is incised with a crane clasping a lingzhi branch in its beak, whereas the green set shows a descending bat. Both sets are painted on the rounded edges with scrolling flowers on a brown ground. 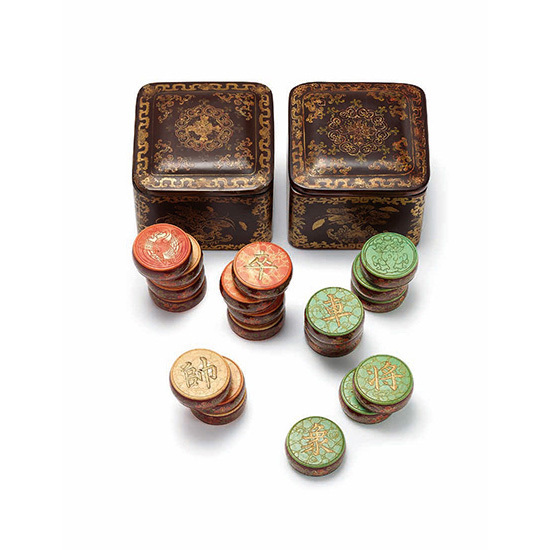 The two sets of xiangqi pieces fit in a pair of brown lacquer boxes of square form, which are decorated in gilt lacquer with dense medallions of lingzhi clusters surrounded by leafy lotus scroll borders. A carved jade example of a set of xiangqi pieces in the National Palace Museum collection is published in the illustrated volume of Wenfang juying (2 Volumes) 文房聚英（全二冊）（圖版篇）, 1993, Catalogue No. 171. A black lacquer box and cover with similar gilt and coloured lacquer decoration is published in Selected Handicrafts from the Collections of the Palace Museum 故宮博物院藏工藝品選, 1974, Catalogue No. 71.